Satori by KairaWeb is a multipurpose fully responsive WordPress theme designed to fit the professional website needs of businesses and individuals. 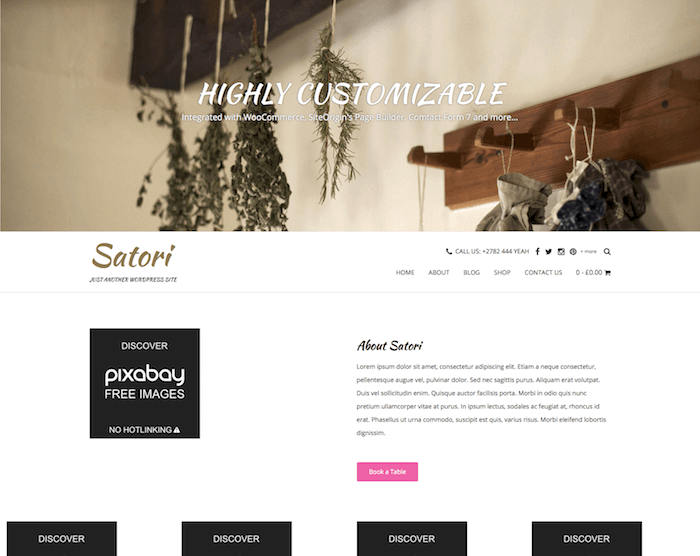 Satori features a clean and decent layout suitable for any kind of business website, portfolio sites, blogs, and anything else. The theme is mostly used to build restaurant websites since its layout is designed in a specific way to fit the restaurant theme. In addition, this theme also includes an E-commerce store that enables business to sell their services and products online on their website. Satori is fully compatible with WooCommerce and all other standard WordPress plugins. Satori theme is compatible with most of the SiteOrigin’s plugins and widgets, including the page Builder, Widegts Bungle, etc. It features a nice and easy to use drag and drop based interface that allows users to easily create their website and online store in just a few steps. With the help of the integrated customizer and plugins, you can create a really beautiful business website and shop within hours. Satori’s layout is designed to give it a professional look while highlighting all the noteworthy items right at the front page of the website. Satori theme comes integrated with some really awesome recommendations for plugins, specifically for restaurant websites. The theme design fits perfectly with any type of restaurant or online cafe store. In addition to WooCommerce and other WordPress plugins, you can use Page Builder, Meta Slider, Widgets Bundle, and other recommended plugins to increase the value and appeal of your website. 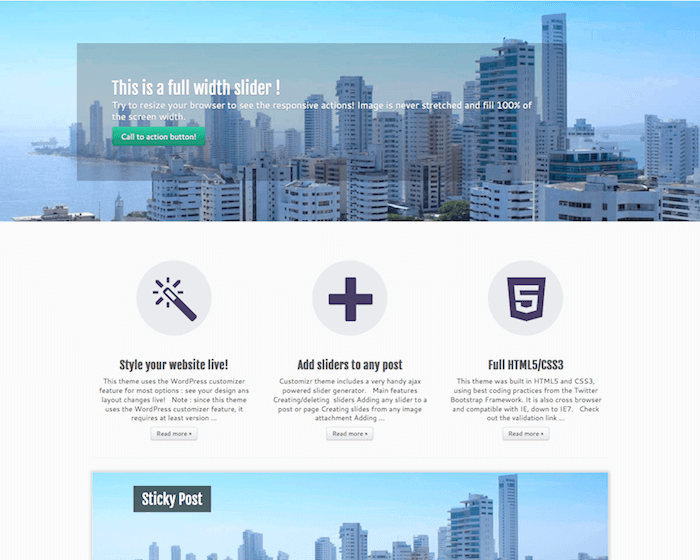 Meta Slider is one of the plugins that comes integrated with the Satori theme. 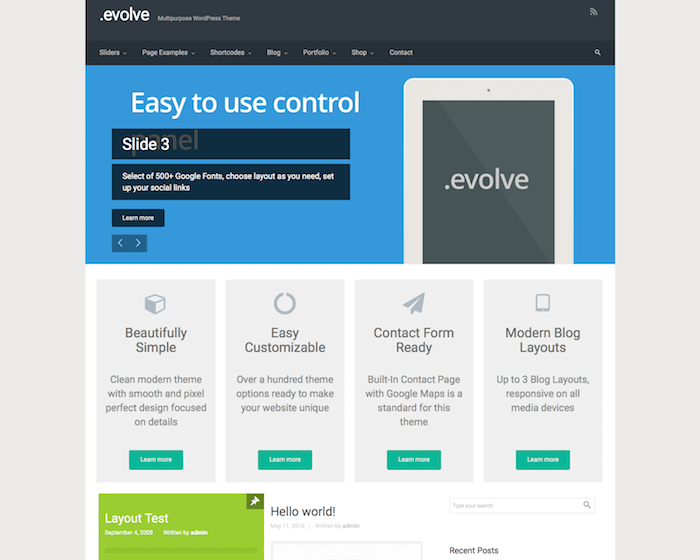 The plugin is basically used to add an awesome slider to your existing WordPress website. Satori theme basically features a full-width image at the top of the homepage, which can be replaced with a slider by the use of Meta Slider plugin. Other plugin features include unlimited slideshows, image slides, smart image crop, animated slides, video slides, thumbnail navigation, and more. Satori theme slider can be used to showcase latest offers, special food items, discounts, etc.